Behind the glamour of every rooftop terrace, deck or patio is a unique design and construction challenge and Ryno is a company which is building a growing reputation for providing the substance behind the style for projects throughout Britain and beyond. Innovation is at the heart of everything the vibrant firm does, with the team dedicated to creating the fastest, easiest and most durable paving and decking support systems on the market. The business provides intelligent solutions to architects, developers, contractors, tradesmen and the domestic market – with a number of specially designed systems within its RynoDeck and RynoPave ranges that includes self levelling, adjustable pedestals. 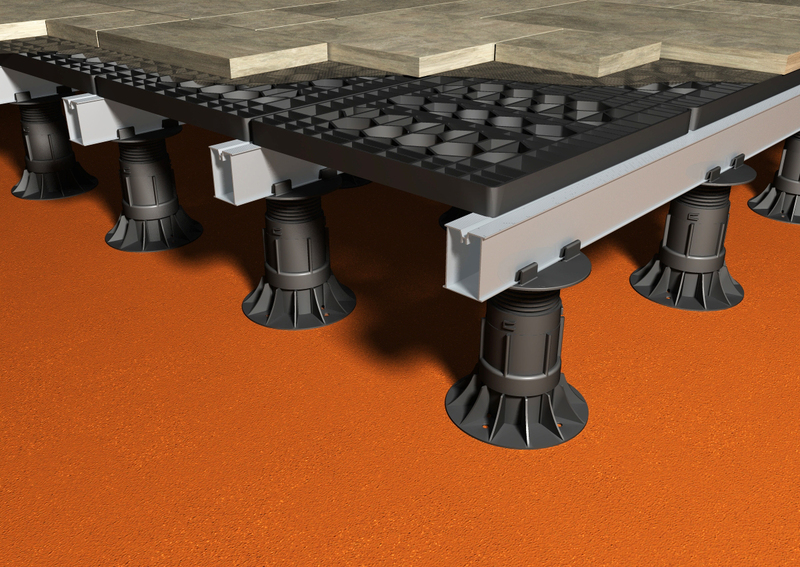 Both feature pedestals and support systems ideal for use wherever decking and paving is required. Quick to install and easy to adjust, the products have won praise for their versatility and have been designed to stand the test of time. The latest additions include a unique aluminium decking subframe system, which due to its properties will never rot and combines unparalleled durability with impressive strength. RynoPave’s robust polycarbonate paving support grate system has been specially constructed to create a solid platform to support all types of calibrated paving systems. These support grates allow patios and paved areas to be established on uneven or sloping ground, without having to undertake expensive and disruptive groundworks. Manufactured using engineered polymers and utilising a hexagonal pattern for optimum strength, the individual grates can be used to form a subflooring grid which can support everything from luxury natural stone through to heavyweight paving. Anton White, Ryno sales director, said: “Our business is built around three words: smart, strong, support. The new products are very different but both share those qualities and are already attracting considerable interest. “There is a very experienced team behind Ryno, with more than a quarter of a century spent developing innovative products which have been used in projects large and small. We are determined to continue evolving and providing solutions to challenges we know exist – none more so than in the hospitality trade, where the demand for solutions which enable bars and restaurants to create patios, decks and roof terraces is growing month on month. The latest products are already being utilised in a variety of projects – from domestic through to retail and leisure settings. Anton White added: “There has been a fantastic response to the products. The aluminium decking subframe is a great example of what is a very logical solution to a problem which has reared its head in domestic and commercial settings. Traditional timber subframes are naturally susceptible to decay and are difficult to preserve in the long term due to the problems with access. By using aluminium, that issue is avoided and our designs ensure strength is not compromised. “The paving support grate system is similar, in that it is a common sense approach married to very clever design and materials. It enables paving to be installed where previously it would have been impossible, for example creating a raised platform on sloping ground. “All of our systems have also been used extensively on roof terraces and balconies, solutions which are attracting particular interest from architects who are increasingly specifying Ryno products as part of their designs. The Ryno name not only carries a track record for innovation but also for customer care and environmental responsibility. The company has achieved ISO9001 accreditation after demonstrating its quality management processes and procedures. The standard has become an industry benchmark for suppliers and Ryno has completed a rigorous assessment to earn the accreditation as the firm continues to roll out its growth strategy. Ryno has also been awarded ISO14001 accreditation in recognition of the firm’s environmental management systems. Director Caleb White said: “Ryno is a business built upon our unique product range but it is about far more than innovation – we put the customer experience at the top of our agenda. “Gaining ISO9001 accreditation underlines the importance we place on quality management and it is a very positive reflection on the entire Ryno team that we have achieved this. “We are also delighted to receive ISO14001 accreditation, which focuses on our environmental management systems. That is another important step for us to take and underlines how seriously we take our green commitments. RynoDeck and RynoPave applications range from domestic gardens through to major residential and commercial developments. For further information visit www.rynosupport.com . 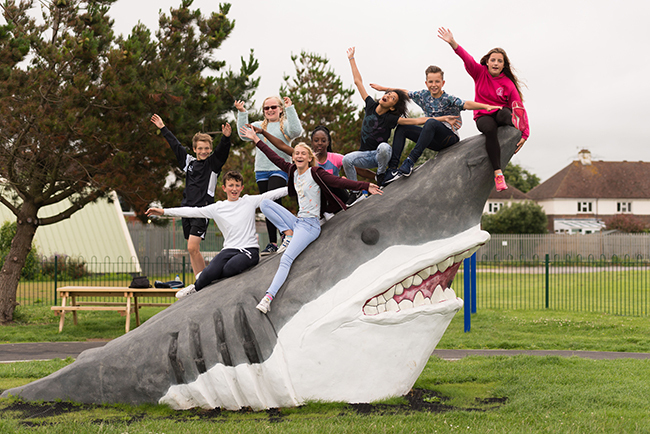 Wicksteed Shark is spotted on Sussex shores!